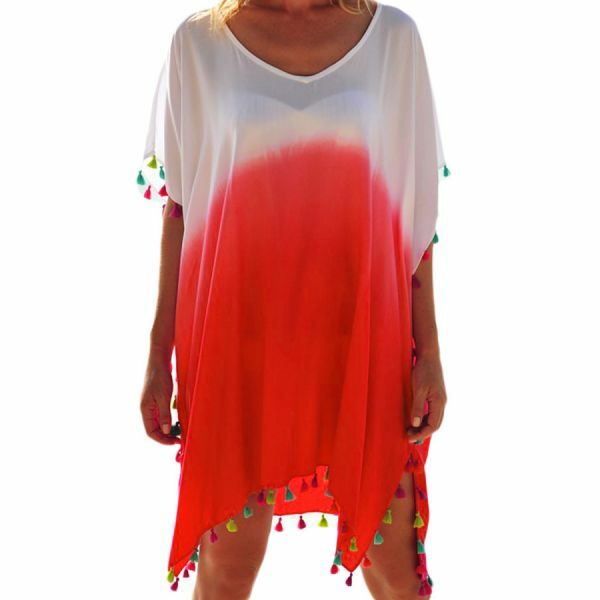 Prepare to leave everyone mesmerized in our White Pink Tassel Beach Cover up. The stylish white and pink color block silhouette creates an impressive visual effect, fresh, bright and relaxing. Oversized design gives a chic and lazy relaxing fit, sweetheart neckline, half sleeves and delightful tasseled on edge.